The United States government has declared increased exports are the path for financial recovery. In particular, the Small Business Administration declared exports are the principal method to buttress American small business. So, how do small businesses effectively negotiate in the international market? Equipping oneself with a negotiation strategy permits a business to maximize benefits and foster relationships—if you use the appropriate method of negotiation. What is the negotiation method a small business should arm itself with to reach an agreement with a foreign company? This article sets out a negotiation strategy, which small businesses may use to effectively enter into the export business and conclude an international agreement. Preparation is the key element in any negotiation. Familiarize yourself with the other company you desire to do business with and the market place they operate in. Look to the publicly available information about the company. Most foreign companies maintain English version websites that contain a wealth of information about the company. Governmental websites, like www.business.gov, www.export.gov, UK Trade and Investment’s Export Country Guides, and the Enterprise section of the European Union’s website contain key data, advice, and insights about foreign markets. Utilize the transparency of governmental agency to cull necessary data on the foreign company to evaluate market conditions in the country or region the business operates. Ask initial questions about the other company to identify their objectives. Evaluate whether the foreign company’s interests are compatible with your company’s aspirations. Dialog at the beginning stages of a negotiation fosters increased information sharing when the actual deal is made—and, equally important, will persist after you executed your contract. Many misunderstandings at the deal-making stage may be avoided by dispelling misconceptions at the preliminary stage. Begin to identify the type of deal you want to accomplish. If you make goods, then you probably want a distribution agreement. If you provide a service, then you most likely seek a general services contract. Establishing the type of deal you desire leads to more substantial considerations. Ask yourself whether your company seeks a long-term or short-term deal and whether your company can bear transactions costs (like license fees, customs duties, etc.) alone if the other company is willing to share such costs. Inquire of your own company why you seek to enter into a deal with a foreign company. Do you desire the relationship to coax prospective domestic business partners into relationships with your company, or do you desire foreign company associations to grow your company into a multi-national enterprise? Asking why will help your company to determine your priorities in negotiating a deal with a foreign company. Much like a good football coach, a well thought out game plan will minimize wasted time, misconceptions, and likely lead to a successful result. A tremendous consideration in international business is the participants’ cultural acuities. Culture strikingly affects the manner and method of negotiation. Investment in learning about the other side’s culture plays a pivotal role in succeeding in negotiations. Remember that all Europeans do not act alike, nor do nationals from other geographic regions, like South East Asia. 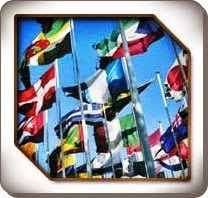 Consider use of the other culture’s language or providing translation in order to conduct a successful negotiation. Examine the type of dress you will ware to the negotiation table, the mannerisms you will use, and the physical place where negotiations will occur. Each may dramatically affect the outcome of your discussions. Culture may also affect the type of tactics you employ in negotiation, so be mindful that threats may terminate negotiation in some locales whereas promises may have the same effect in other regions. Considering all of the above, do not let cultural differences discourage you in your quest to transact internationally because behind cultural divides lies the reason your two companies came together in the first place—to make money. Use your preparation to identify your soon to be business partner’s objectives, as well as your own. Both parties want to maximize their individual benefits. Don’t be afraid to be creative and propose innovative methods during negotiation. Realize each of you are at the table to grow your respective businesses or because both companies see an inherent benefit in establishing the relationship. Try to uncover that benefit during negotiations by asking open-ended questions to elicit more information from the other side. Utilize and employ tactics. Tactics are calculated actions taken to move the other party toward your objectives. During a negotiation you will utilize tactics to induce the other party to agree to your goals. A good tactic is setting an agenda to guide both parties in the negotiation. The agenda does not have to be a 20 page tome, but could be a page outline of bullet-point key issues you want to discuss. To create an agenda look back at your objectives identified in your preparation and give your agenda to the other side before the negotiation. Letting the other side revise and comment on your agenda facilitates negotiation and removes uncertainty. Even if the other side does not want to use an agenda take the document with you to the negotiation for your own use to focus talks on the issues you need to discuss. Be flexible on small issues and concede items you view possess little value to your company. Ceding a small issue to the other side may induce greater agreement on items more important to you. Do not fear structure in negotiation and do not fear innovation arising during a negotiation. Both structure and innovation do not need to oppose one another in negotiating a deal. Make sure you have a deal-maker on the other side of the table as well as on your side. Without individuals authorized to make the deal you are wasting valuable time and energy. Realize both sides are imperfect. You will be nervous and say the wrong thing just like the other side. Welcome to the human race! Every human is prone to error—it is in our nature. Do not let these blunders end the negotiation—persevere through these red-faced moments. 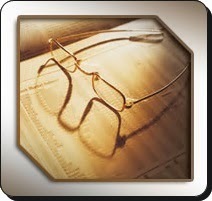 Ethics are a consideration in an international business negotiation. Ensure that professionalism is maintained and appropriate tactics are employed to avoid possible criminal or civil liability. Do not get caught in a gross misrepresentation or outright falsehood. Honesty goes far in negotiation and the relationship that follows a successful deal. Though, you should utilize the skills that got you to the negotiation table—an ability to get the deal done. No matter how wonderfully you negotiated an agreement—get the agreement written down and signed by the other party; make sure the final agreement is signed by an authorized party or deal-maker. The written agreement may go through a couple of variations. Throughout the redrafting process ensure that key negotiated items are not altered. In other words, make sure the essence of your deal remains intact. The best way to get an agreement written down is hire an attorney. Despite the cost of hiring counsel, it remains a good idea to have a lawyer to draft the agreement. This investment may avoid larger financial liabilities resulting from a poorly worded agreement. Remember you want to spend your holidays leisurely not standing before a foreign tribunal. Do not be afraid to ask the lawyer to keep the language of the agreement simple. Increasingly, attorneys understand business perspectives and realize the importance of the deal to your company. Also, consider the law is not only different in other countries, but in different states you transact business in. A lawyer may also help you with writing (or rewriting as the case may be) your contracts to ensure an appropriate law and court system possess sole jurisdiction over any disputes arising out of your agreements. Lastly, remember you negotiated the deal, so make certain the provisions of the agreement reflect the bargain you struck. Just as dialog is important with your business partner, the same principle applies to your lawyer. In summary, the method necessary to approach international negations is to: (a) prepare for negotiating the deal; (b) effectively negotiate by structuring discussions; (c) focus on both party’s objectives; (d) use appropriate tactics during the negotiation in light of cultural and ethical considerations; and (e) set down the agreement in a writing signed by the authorized representatives of both parties. Remember you are human and will inevitably make mistakes. Do not let these errors cause the negotiation to fail.